On today’s walk, once I had reached the top of the hill, I decided to shoot a timelapse of the clouds racing across Petone. It takes around 28 minutes to produce enough images to create a 12 second timelapse video so after a little snack, a drink and feeling well rested, I may as well record myself walking back down, and checking out the fantastic stabilization of this amazing camera. 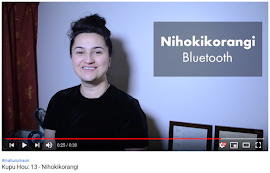 Just noticed our 4k TV cannot play my recently created 1080p50 H264 videos directly from a USB key, needs to be investigated to find out what the problem is. With Cyclone Gita heading our way I wanted to experiment on how to use the Sony FDR-X3000 in a wet environment. Most of the footage shown here was taken when the rain had stopped, I would say from the whole ride, what you see here is about 20%. Most of it was unusable due to rain blurring the footage. Another important fact was to only record in 5min(max) bursts with a 5min (minimum) cool down period, otherwise the interior of the waterproof case fogged up. As a result I've concluded to only take still images in this type of weather. 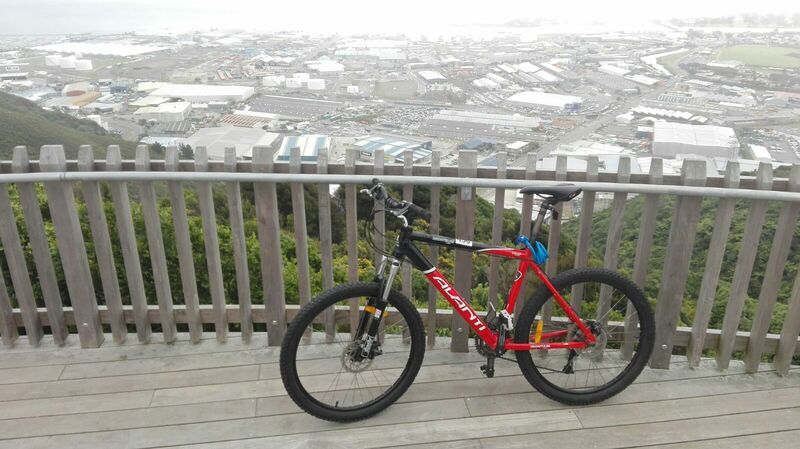 Finally I'm totally enjoying using the Avanti Montera MTB, it rides really well in conditions as this. 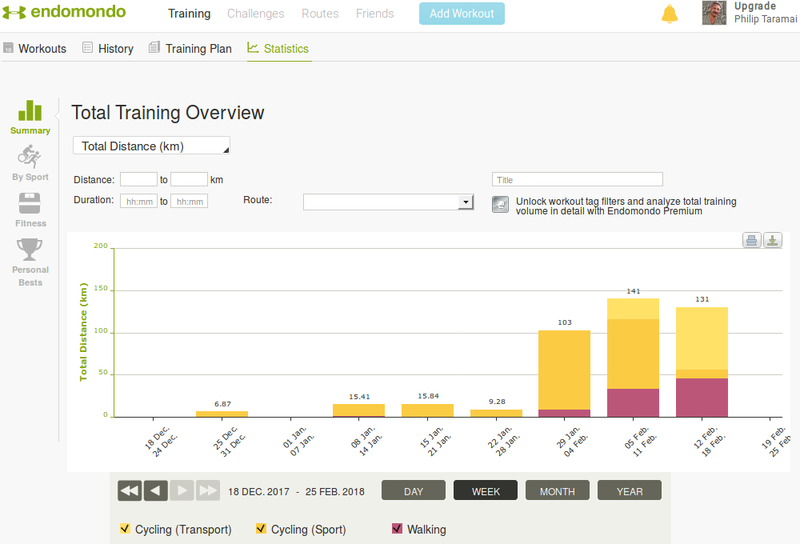 To complete my goal for the 2018kms (walk/run/cycle) in 2018 challenge, the minimum kms needed is 40km/week. 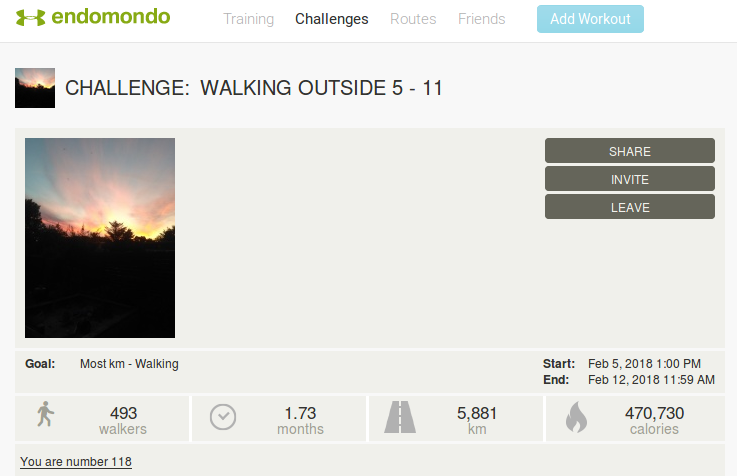 Now that I've embraced this Endomondo App it is looking very achievable. While the weather is great pile up all those km's as much as possible, because the bad weather is just around the corner. Mind you I feel I could walk through the bad stuff if needed. Everyday you see something new, chances are one would forget that right here used to be tall trees that we could sit down under and enjoy the shade. On this evenings walk it got dark fairly quickly, still another 13km under my belt. 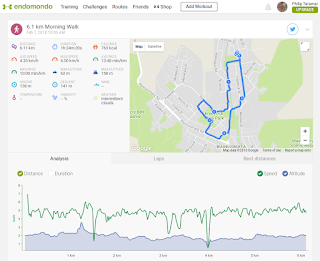 The Endomondo App glitched in a few places and gave some obvious bad GPS results for speed, but I'm putting this down to having my mobile phone in my shorts pocket. When I had it in my backpack all went well. The sony FDR-X3000 night shots came up pretty good. I had to put the Sony on top of a wooden post, hand held gave terrible blurry pictures. 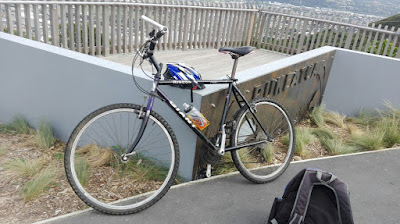 This morning I decided to pull out the old Giant Rincon MTB (2000) and take it for a ride up Wainui Hill Summit. This was not a pleasant experience, but that is understandable, I compare all bikes to my Specialized Allez Road Bike and so far nothing comes close. Without suspension or disc brakes I was expecting it to be lighter, more agile and faster to the Avanti bike I'm currently testing out. 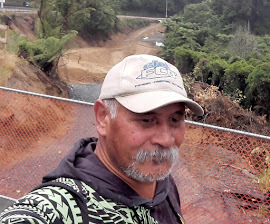 On all aspects of this ride, flat, uphill, downhill The Giant Rincon felt extremely sluggish. I felt as if I did a triple workout over a smaller distance traveled so I'm kind of OK with that. The rear dérailleur limit switchs and indexing have been tuned (by me, I'm getting good at this stuff) so I guess it is ready to give away if anyone wants it. That 19km felt like 40km .. 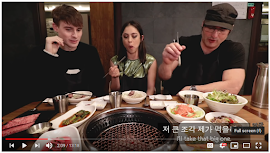 The quality of this video after uploading to youtube is awful, oh well. Recently borrowed a MTB for an upcoming family cycling event, and after working on the gears it was time to give it a test. Throw on the Sony FDR-X3000 for fun and lets go to a local track just 3km away from me. The noise both tyres make while riding on a sealed road is surprisingly loud, good to know it disappeared once I hit grass. As you can see from the footage I don't like this style of riding, scares the crap out of me. Twice my foot slipped of the pedal (left hand side) and I nearly ended up in the bushes. 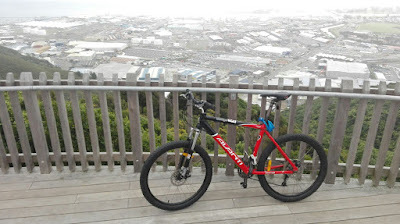 Importantly, the gears worked well, no slipping at stressful times on the uphill legs. I'm finding it hard to walk but it is still early days. So 2 days later I did a 15km walk, I know, crazy! At the 12km mark I wasn't feeling too good. Surprisingly at the 14km mark I felt really good. Walking does take up a lot of time so I must work on my time management to include longer walks. 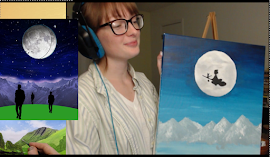 I surprised myself with this one, and as I write this blog, I'm still feeling pretty good. Yes, it was a wet day. I'm enjoying these solo rides prior to the TriAbility group training runs. Gives me a chance to hone my action camera and editing skills, every video produced I'm trying out different techniques. 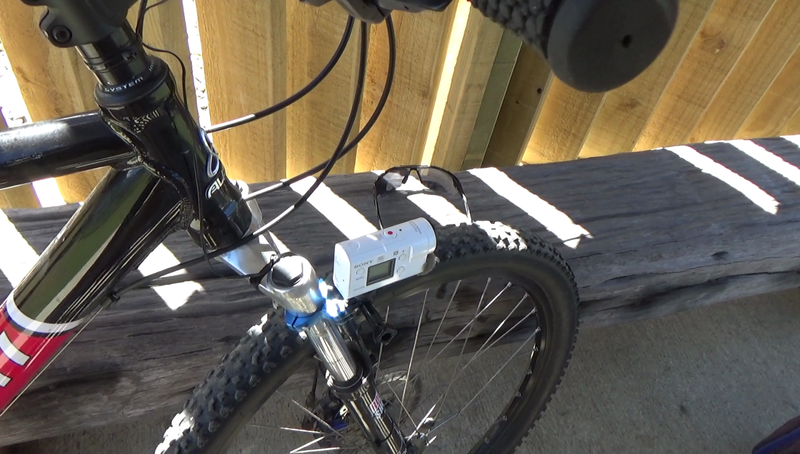 This ride I held the action camera, gave me new ways to view the ride, still work in progress. 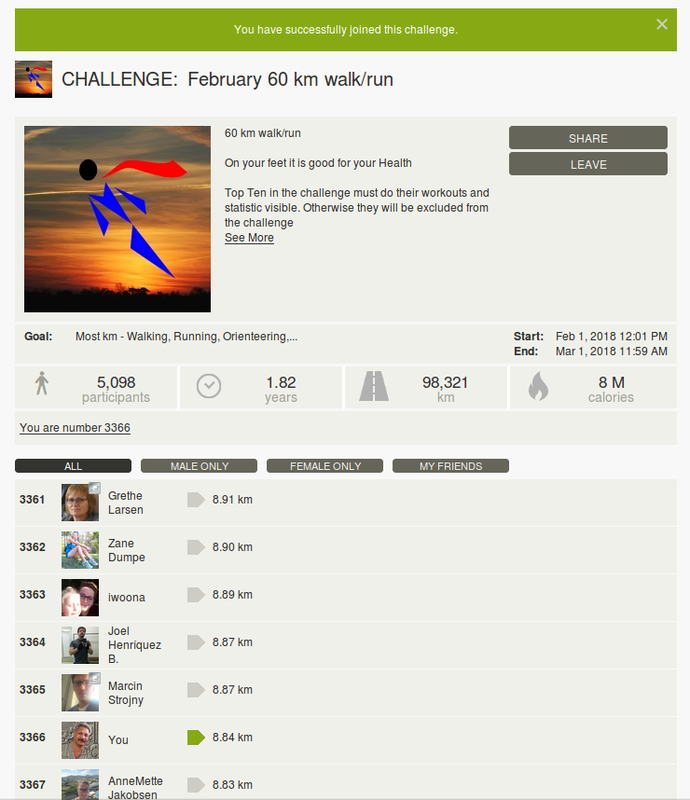 I got invited to this challenge that closes very soon (duration of 1 week), which prompted me to get some km's under my belt. Doing 12km was a bit too far, 8kms would've been more comfortable, it was extremely hot out there today. 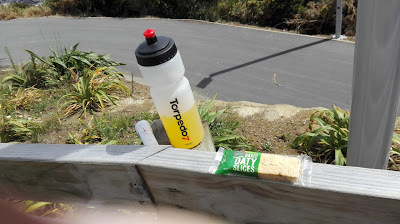 Next time I will take a drink bottle .. so needed it. I like the idea of creating video's under the Unlisted Category, where the only way to access the video URL, is viewing my Endomondo Profile or by coming here to my Blog. On the subject of routes, I cannot see myself setting any up . 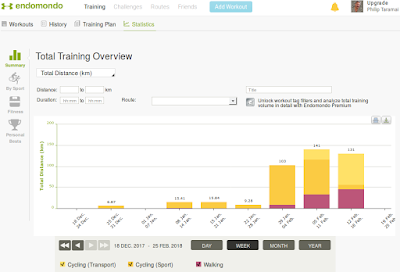 Unlike cycling where it is all about beating your time over a set distance, walking for me should be enjoyable, and a different route taken on every outing. Really pleased how this video turned out, now just need to work on composition, I'm sure I'll get better as time goes by. I don't get a buzz out of walking. It seems you put all this effort and a lot of time getting no where fast. 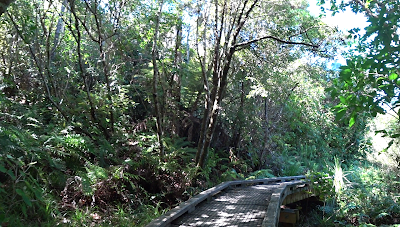 But it is obvious a lot of people enjoy this activity, maybe I should try the bush walks around here, there is many to choose from. I need to work on creating myself a route with a target of 8km at this initial stage, and attempting to walk the route at least 3 days a week (24km/week). As of today that leaves 22days to complete this challenge. 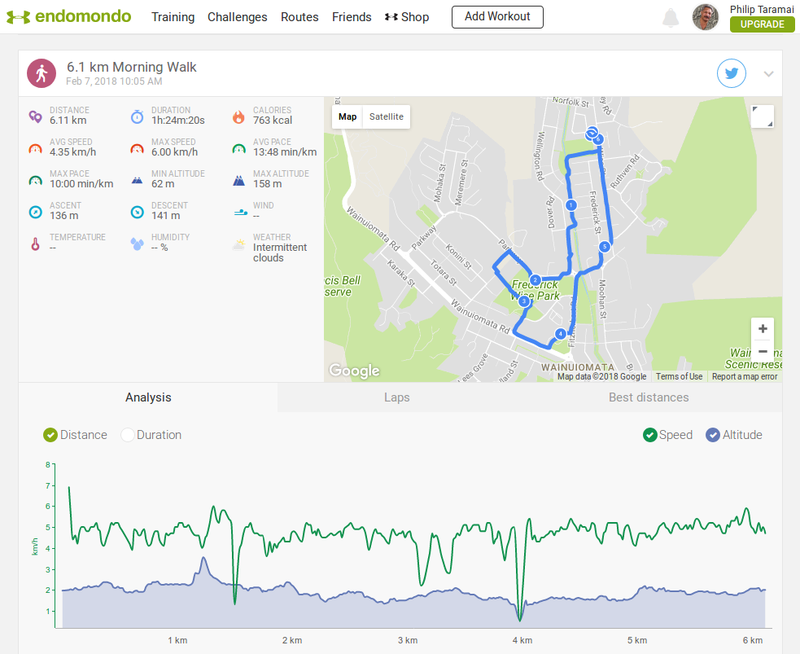 Even though this is a small challenge it's kind of a biggie for me, I don't really like walking or running but one can only improve by actively doing the hard yards. After waking up to a really cold frosty morning, it really warmed up to a nice day for a training ride. It is a shame the numbers turning up to the trainings have dwindled down. 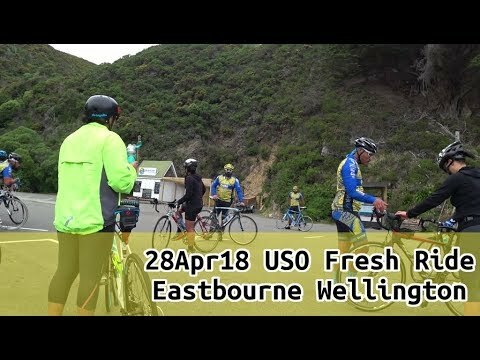 For me to get any benefits from these training sessions I already do a ride either to Brookfield Outdoor Centre or up to the Wainui Hill Summit. This is a just a small video with no GPS overlays, I've decided to do those on new rides. The Aotearoa Bike Challenge is a fun, free competition that’s all about seeing which workplaces can get the most people to ride a bike for just 10 minutes or more. 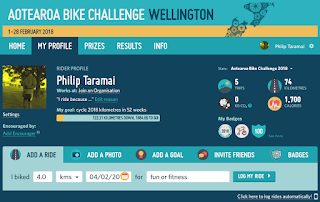 It’s not just bragging rights on the line, we give away awesome prizes - including e-bikes! 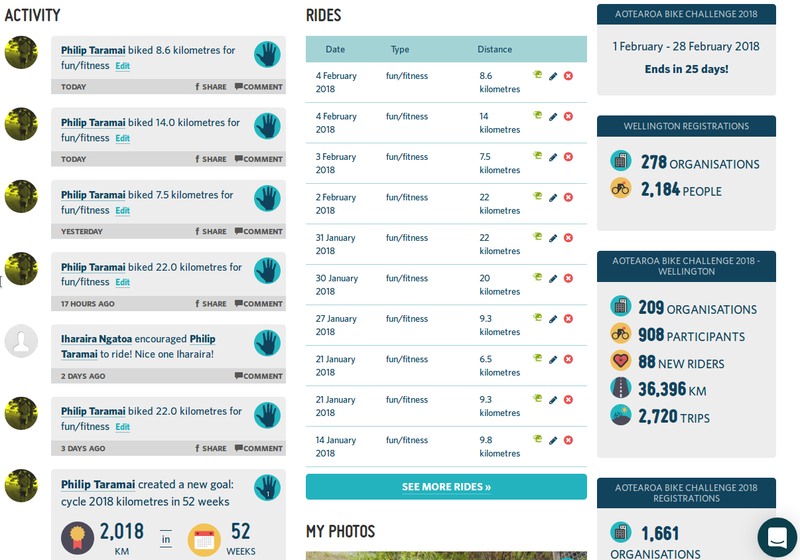 Join the challenge and log your rides in February and you're in! 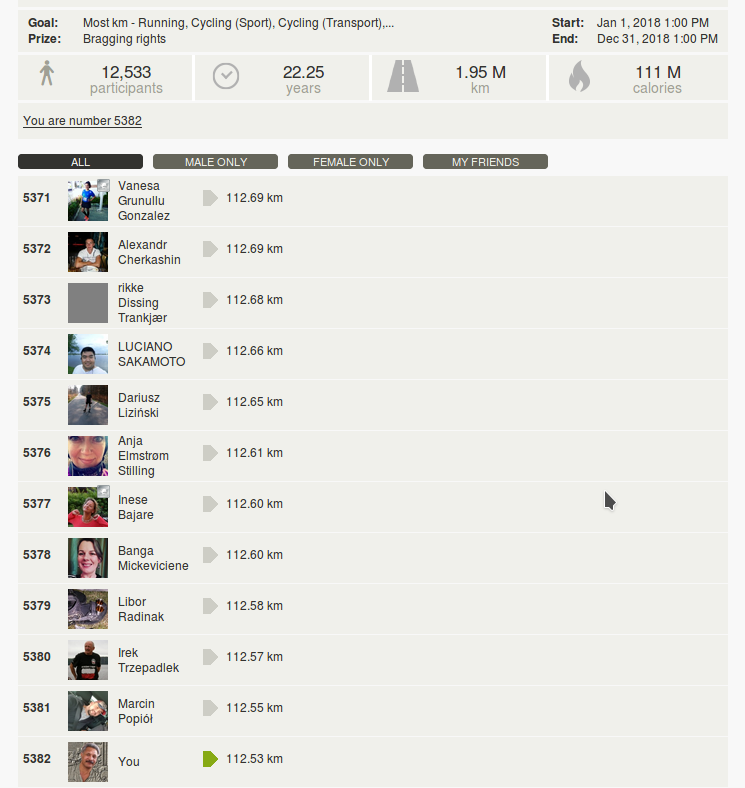 I do like the way it automatically grabs my cycling data from Endomondo. 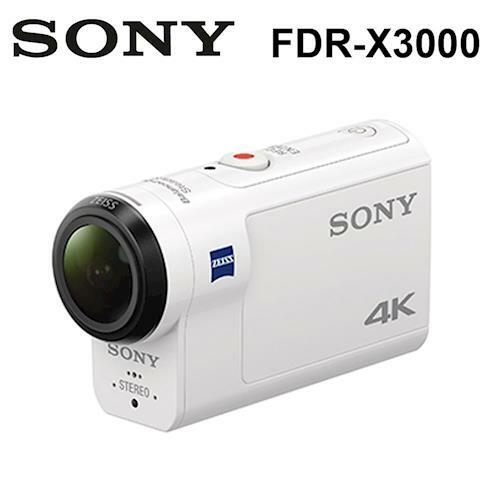 The Sony FDR-X3000 only produces a series of images in a folder, in order to create a timelapse video these images need to be processed by other means. In my case I exported them from the camera onto my Linux Mint 18 desktop. This was my 1st action camera which has no stabilization therefore I no longer use this to create videos. 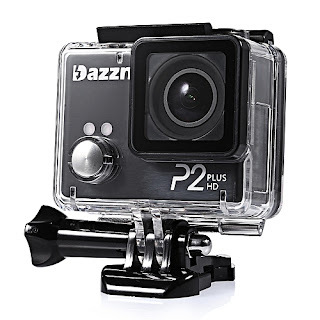 Even though it produces images 4032 x 3024 (4 x 3 ratio: 12.2MP) my script has an 2 options to resize by cropping some of the top and the bottom produce 720p and 1080p compatible video. Note: you cannot set limits on this so just start it in timed images mode, then turn off maybe 45mins later. 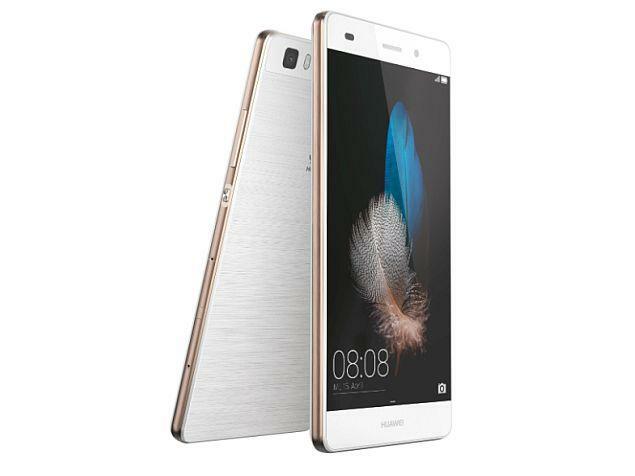 I've actually used the script to create a timelapse from images taken by my Huawei P8 Lite, so I guess it can be used by any device that creates sequential named images. About the script. There is probably a much more efficient way to create this as I'm not too good at writing these types of code. Feel free to view, modify, or complete rewrite it as you see fit. This 20km route is fairly flat and has a very small easy hill climb to contend with. A ride I can do at least 4x a week in the afternoon, to keep my km's ticking over as part of the Endomondo 2018km cycle challenge. 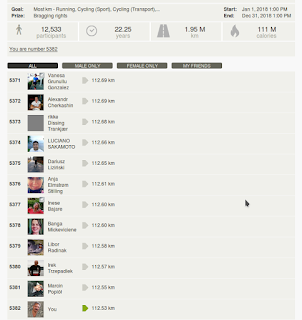 I'm feeling quite good at positon 5382 with 12,533 participants to date. I created this post in preparation of changing my OS from KDE to XFCE, I might even go back to Linux Mint 17. The reason being I couldn't get Dual Monitors to work correctly on 18 (after a reboot you had to log out then log back in again), extremely unacceptable. 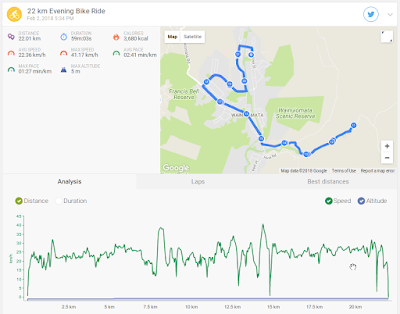 https://www.endomondo.com/ Use this to generate workout details, map route etc by importing .gpx file, then you can screencapture the map This uses the same footage as the previous cycling video. 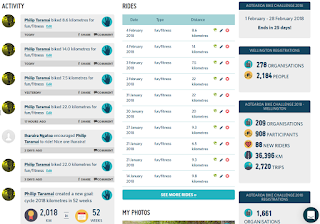 This is my favorite cycling App for Android. This was not an easy task and there is no avoiding it, I have to do this again.